Today I'm sharing with you my mother's recipe for those delicious dumplings called Gyoza. Everybody in our family loves gyoza and we used to enjoy them at least once a week when we were kids. My mother always made a whole bunch of them and froze them for later so we could enjoy them anytime. You can enjoy gyoza pan-fried, steamed, boiled and deep-fried. I sometimes like to add a few into a nice bowl of egg drop soup for a light and easy one-bowl meal when I don't feel like eating much. Combine all ingredients into a bowl and mix with hands until mixture becomes sticky. Take a gyoza wrapper into the palm of your hand. Put one teaspoon of filling and put it in the center of the wrapper. Wet the edges of the wrapper with some water. Fold the wrapper in half. start making pleats on the top part of the wrapper. Continue until you're done with all of the ingredients. Pour a little oil into a large non-stick frying pan over medium heat. When pan is hot, place the gyoza flat side down. Cook until the bottom turns golden brown about 2-3 minutes. Pour in 1/4 cup water and cover. Cook for 6 minutes on medium-high. Uncover and cook to evaporate any remaining water. Pour a little sesame oil to add shine and flavor and cook until bottom is nicely brown and crispy. Transfer to a plate and serve with gyoza sauce. To make the sauce, simply combine 1 part soy sauce, 1 part rice vinegar and a dash of Layu, which is Japanese chili oil. If you don't have any, you can use sesame oil instead. 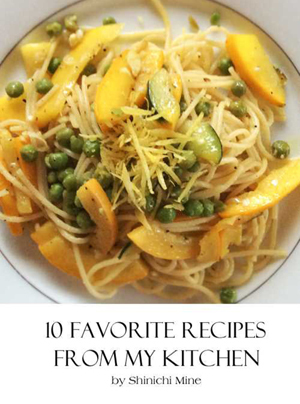 For a bit of a kick, add a little sriracha sauce if you like. 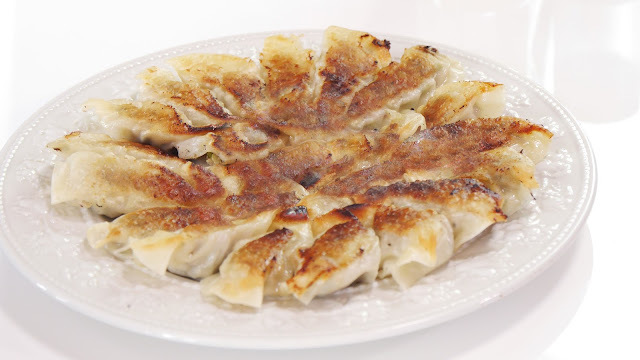 To make boiled gyoza, simply boil in a pot of boiling water with a pinch of salt for 3-4 minutes. Drain well and enjoy! 1 teaspoon salt or sesame oil? Thank you and your mother so much! I tried it out today and it turned out delicious :D :D There's no other recipe I'll use from now on <3 Domo arigato gozaimasu!